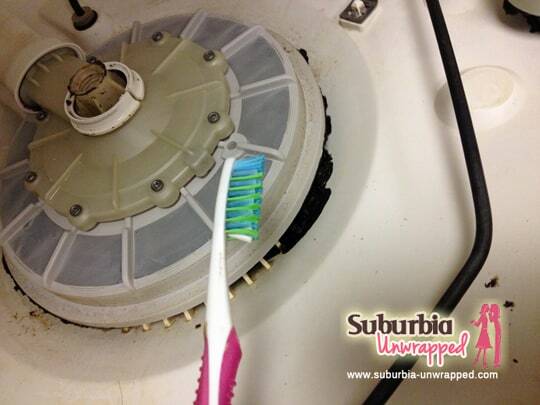 Home » Family Life » Homemaking » How to Clean Your Dishwasher: The Grimy Reality! 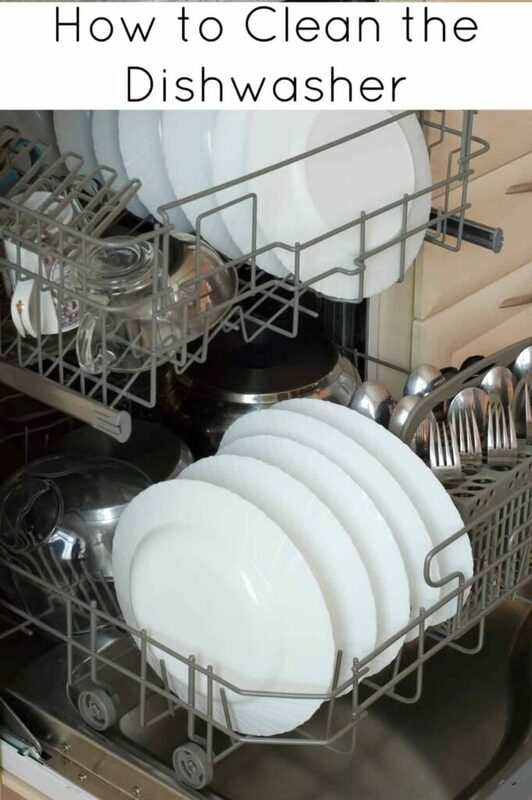 How to Clean Your Dishwasher: The Grimy Reality! Okay, so I am really a very neat person and while my house isn’t showcase worthy, I would not be embarrassed to have people over to visit without too much advanced notice. Lately, though, I have noticed that my dishwasher is starting to take on a life of its own. 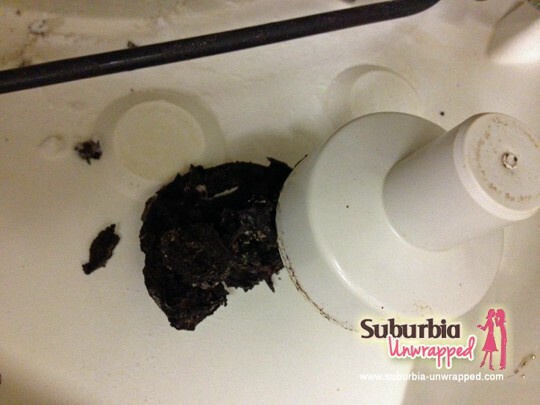 We are starting to notice bits and pieces of crud on our dishes and a quick peak inside has us wondering what that layer of ick is that looks like it could get up and walk away. So, I started trying to figure out how to clean it. What did I do first? Head to my computer and Google “How to Clean Your Dishwasher” of course, because the Google Gods can tell me everything, right? Well, I must have browsed through 10 websites about how to clean your dishwasher and they all made it look incredibly easy. I thought “I can handle this”. I am pretty sure I was grossly mistaken. Here is my recent experience, as well as a few affiliate links. Posts feature partner companies & may be sponsored. Post contains affiliate links & I will be compensated if you make a purchase after clicking on links. Step one in How to Clean Your Dishwasher says to unplug the unit from the wall to turn off the electricity and prevent shock. 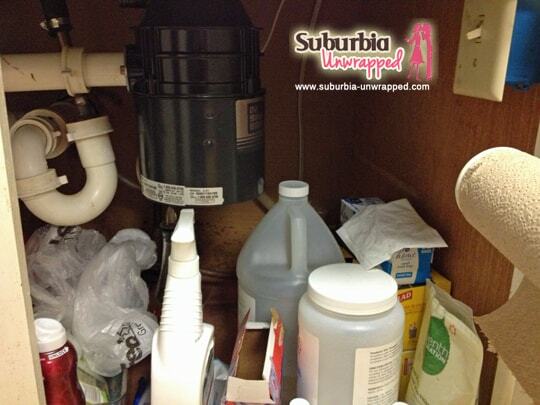 The picture on the ‘how to’ website shows a lovely and neat under sink area with a very obvious plug going into the wall. What do *I* have? I have a cabinet full of kitchen cleaners and trash bags and an electrical cord that disappears into the wall with no sign of a plug. Okay, I will skip step one and insert my own step one…Pray I do not get electrocuted! Step Two in How to Clean Your Dishwasher says to remove the dish racks from the unit and then (using a screwdriver) remove the arm dew-hickey thing at the bottom of the dishwasher. Okay, this requires a little bit of work. 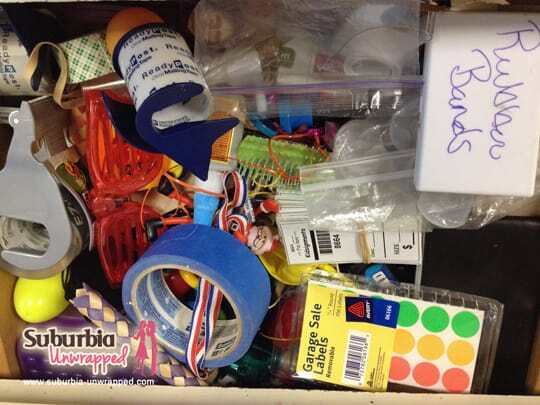 First, I have to locate the screwdriver in the junk drawer…please tell me I am not the only person that has a drawer that looks like this… I need to get a few drawer organizers and tackle this mess. I will put that on next week’s to-do list. After I finally locate the screwdriver and shove 5 years worth of crap back into the drawer I head back to my dishwasher. (Making note that the next kitchen chore I tackle needs to be Clean Out the Junk Drawer) I easily remove the rack from the bottom of the unit and am presented with an arm thingy that is held on by some sort of plastic knob instead of screws. Okay, I just wasted an awful lot of time looking for a screwdriver that I apparently don’t need. Oh, but WAIT! Under the arm thing is another giant plastic thing held down with what looks like screws. Only those aren’t screws, those things require a wrench and why doesn’t MY dishwasher innards look like the other 10 websites that I looked at? 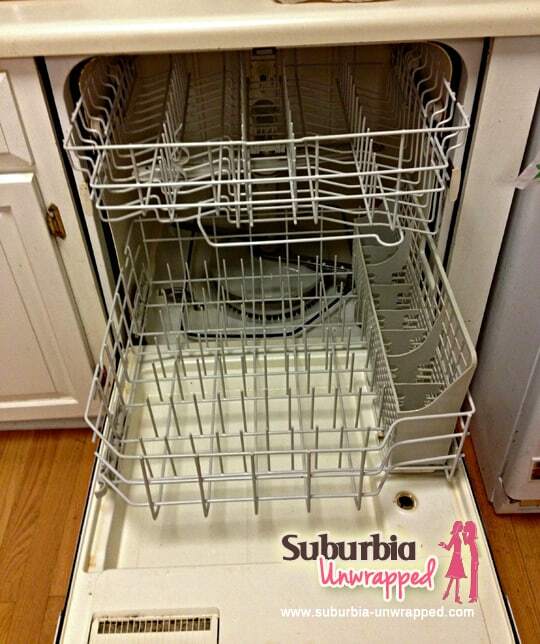 THOSE people easily removed all the inner workings of their dishwasher without breaking a sweat. I am about ready to just call up Home Depot and buy a brand new dishwasher at this point. Step Three in How to Clean Your Dishwasher says to sprinkle the interior of the dishwasher with a light abrasive of some sort and scrub with a toothbrush. Really? I am pretty sure a toothbrush is going to be rather ineffective at this point. I am thinking something along the lines of a shovel might be in order. But, I go grab the sacrificial toothbrush out of the bathroom and sprinkle the interior of the dishwasher with baking soda. While scrubbing with one hand I try valiantly to keep the dog from licking the interior of the dishwasher while I work. She isn’t very bright but comes in handy when we have plates that need cleaning after dinner. Step Four in How to Clean Your Dishwasher is to try not to gag while scraping all of the leftover food/mold/crud out of the machine. I find a plastic spoon covered in black stuck in the drain and am scraping huge chunks of heaven only knows what from all the cracks and crevices. Vinegar is also recommended in cleaning the interior of the dishwasher so I dump some of that in, too. A LOT. It makes a lovely fizzy sound and I just hope it is loosening up the six-year layer of crud residing in my dishwasher. Let me just reiterate here that I am really NOT a slob…the mere fact that I have inches of this stuff inside my dishwasher is seriously making me sick! Have any tips on how to clean your dishwasher without the huge levels of frustration I created for myself today? Diane is a professional blogger and nationally certified pharmacy technician with two teens, one husband and more pets than she will admit to. She has a BS in Microbiology but left her career in science to become a stay at home mom. 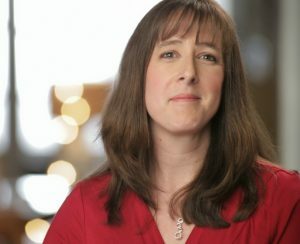 Years of playing with LEGO and coloring with crayons had her craving a more grown up purpose to her life and she began blogging full time. She currently deals with emotional teens, suburban politics, and middle aged metabolism while sharing her opinions in an honest and down to earth fashion on her blog. Yikes, I hope mine doesn't look like that underneath! LOL Thanks for the tips. Sorry no dishwasher in my house! My dishwasher needs to be cleaned terribly. But, uh...I'm not sure I could get it apart OR back together without breaking it. Your dishwasher does look a lot brighter in the last pic. It does look better but boy was that gross! Might try running a vinegar wash once a week for a while and see if that helps. We don't have a dishwasher but it is good to know how just in case we ever get one!! Looks like a hard days work :-)! i would be lost without my dishwasher! I detest washing dishes by hand! 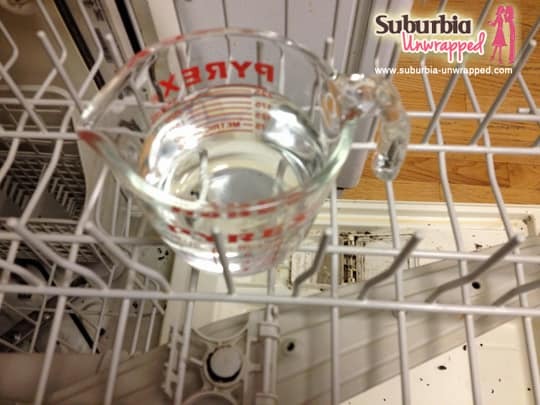 Most new dishwashers make it easy to clean out the trap, but vinegar is still the only way to do the rest! Love vinegar. I think all of our dishwashers look like this eventually. I run vinegar as my rinse so I hope it helps with some of the build-up but we need to do this as well. We had to take ours apart recently because the top rack just was not getting cleaned. We took the arm and anything else that would come apart and cleaned it all out also used lemi shine and borax and it has done wonders for getting it clean again..like you in the past that is what we had done just gave up and got a new dish washer. But once you figure out how to take it apart it is well worth it..Also, check on Google how to take apart and clean it that is what we did..Good luck. I use Dishwasher Magic. Maybe not the best but it really works especially as a first step to loosen everything. 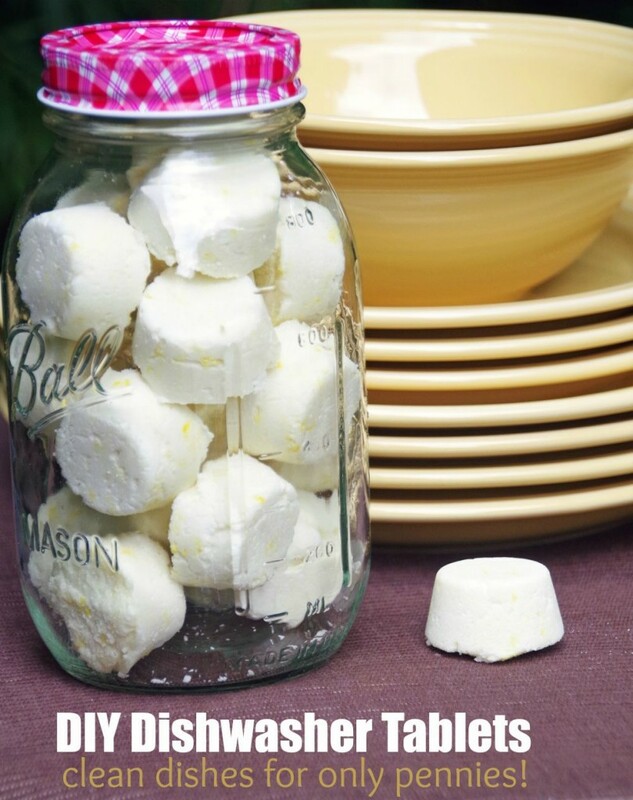 I also periodically run a lemon cut in half with the load. 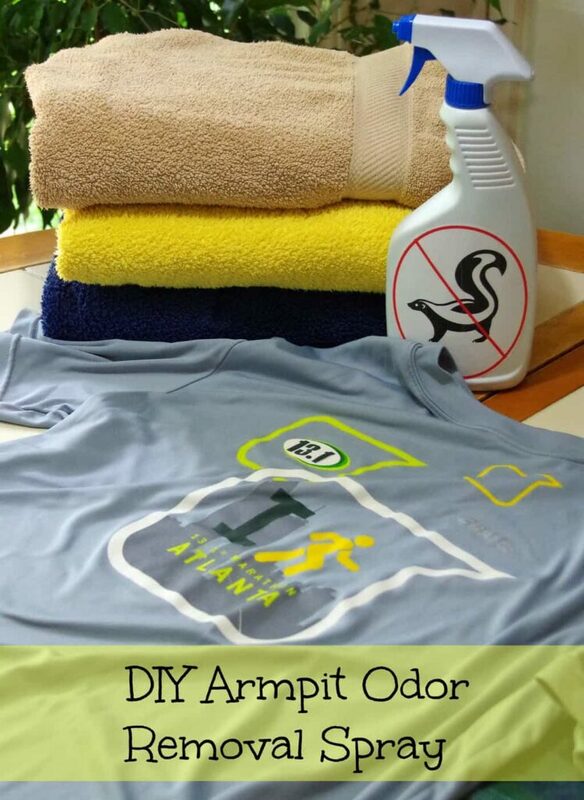 It freshens things up and leaves a great smell. I will have to keep my eye out for that...have never heard of it! Hi, I'm Diane! I'm a busy mom of two hormonal teens who is trying to stay sane in the chaos of suburban life. I love spending time with family, motorcycle rides in the mountains and a nice margarita. Click the photo to learn more or email me at adhoffmaster@yahoo.com. Don’t Miss the Next Post!